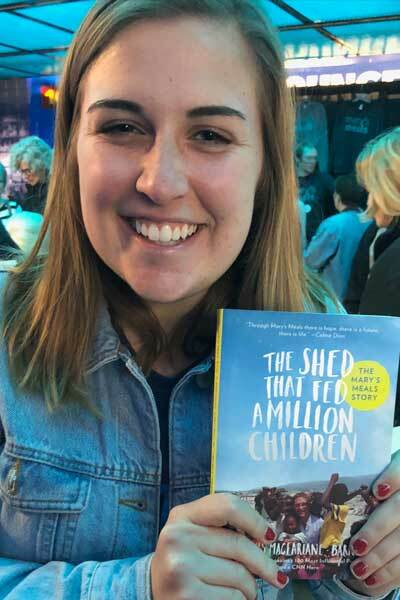 Maggie Bermel reflects on the recent Christ Our Life conference in Iowa, where she was volunteering for Mary’s Meals. 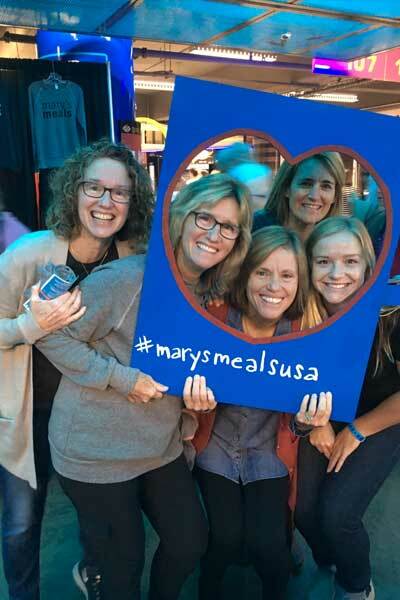 The little acts of love that support Mary's Meals never fail to amaze me – and that love was clear to see at the Christ Our Life conference in Des Moines, Iowa. 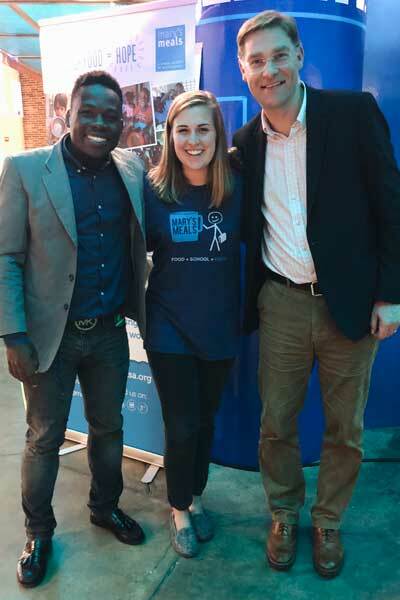 Throughout the arena, there were people wearing Mary’s Meals shirts. Many more had the shirts in their hands and the booth that was selling the shirts always had a flow of people at it. I spoke to one family, the Doyles, who had brought a bag of coins they had been collecting for Mary’s Meals. 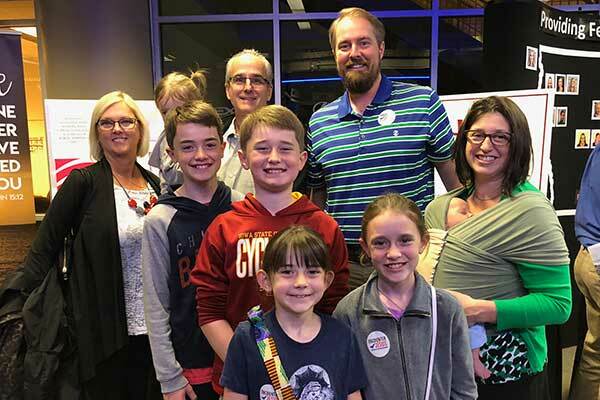 Justin Doyle told me that his children saved the money by asking for donations for birthdays and Christmas. 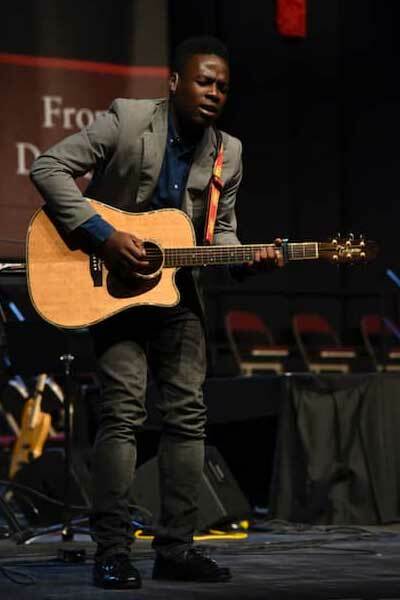 This year’s conference was even more special because Jimmy Belabre from Haiti – one of the stars of the documentary Generation Hope – was in attendance. He began his speech by saying, real slow, “I shouldn’t be here today…” which brought tears to my eyes, because we are able to witness the incredible opportunities that are open to people like Jimmy because they received one meal each day in school. 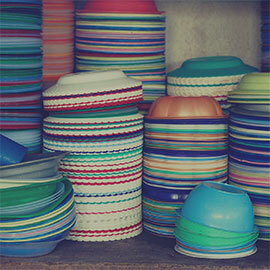 Jimmy described some of the unthinkable hardships he has gone through. We could sense his struggles as he described how he tried to avoid the gangs he used to work for and the obstacles he has faced for promoting peace in his community, but we could also see the hope in his eyes. He ended with his beautiful music and the entire arena was mesmerized by it. In a way, I think we were all staring in amazement at the power of food and education and what that can do for a person's life. 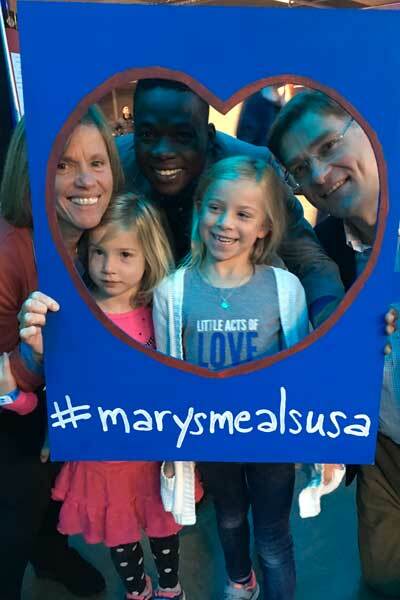 Mary's Meals, thank you for coming to the Midwest for the Christ Our Life conference. 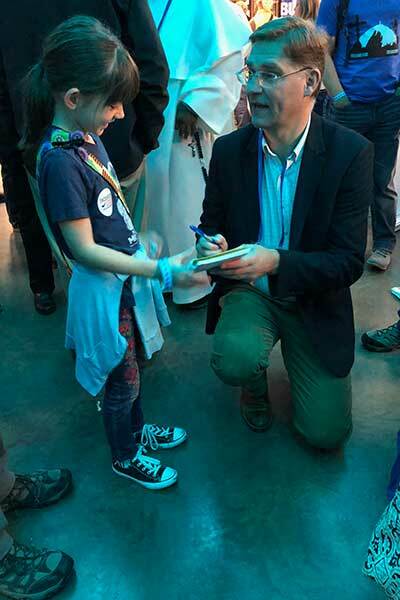 You can count on our continued support, and we will see you in two years for the next conference!